Past few days were really eventful with Eid celebrations, farewell to my Ammi (mom), and the baby. 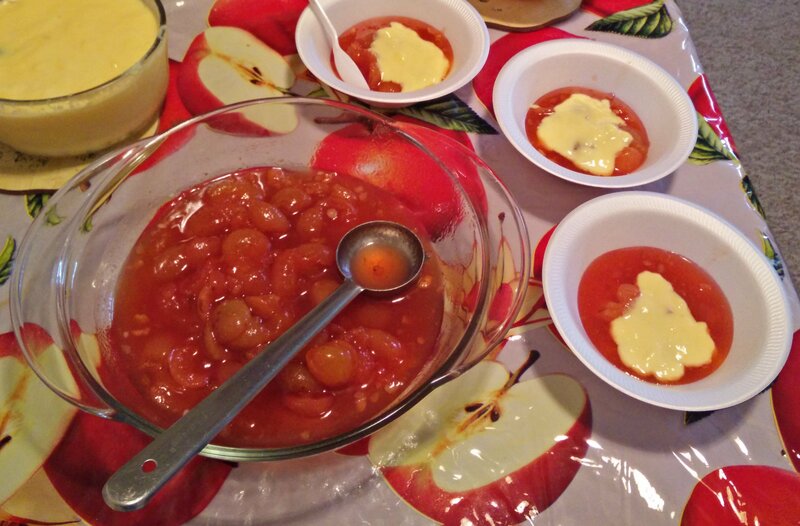 I hardly got time to sit down and post a recipe. This Bakrid was a memorable one for many reasons. Firstly, first Eid with a new family member, Aisha (my two month old baby). Secondly, my mother was with us to help with the baby from Ramzan to Bakrid this year and she left to India last week. We had a gala time together and I cannot express how much I miss her now. 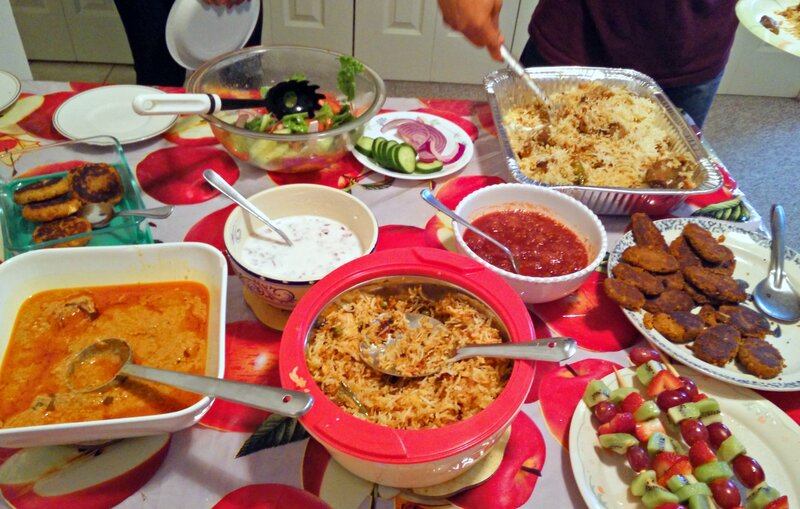 When we invited our friends for Eid dinner, I asked my Ammi to prepare best of her traditional Eid recipes as I wanted to learn and devour those dishes which I have been enjoying since childhood. Needless to say she did it so effortlessly and all the dishes were flawless and irresistibly delicious. We enjoyed preparing these dishes together as much as everyone enjoyed eating it. The menu was Mutton Dum Biryani, Shami Kebabs for Non-vegetarians and Veg Dum Biryani, Raw Banana Kebabs, Mirchi Ka Salan (Spicy Jalapeno Gravy), Aloo Bhukara Chutney (Plum Chutney), Salads and for dessert a Hyderabadi classic Qubani ka Meeta (Dried Apricot Compote) with Custard. 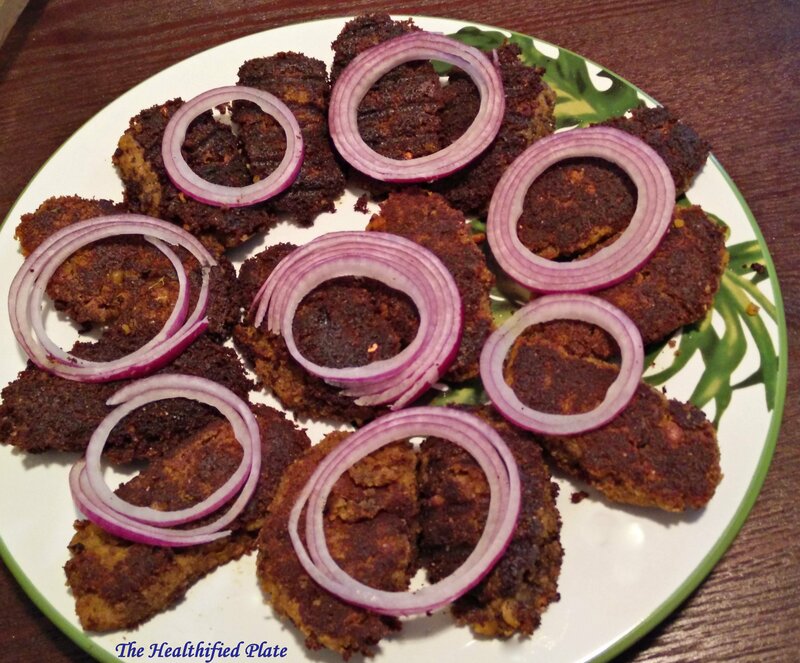 Today, I thought to share the recipe of Shami Kebabs which are very popular through out India. These are succulent and delicate patties made with boneless meat and bengal gram along with some fragrant spices. 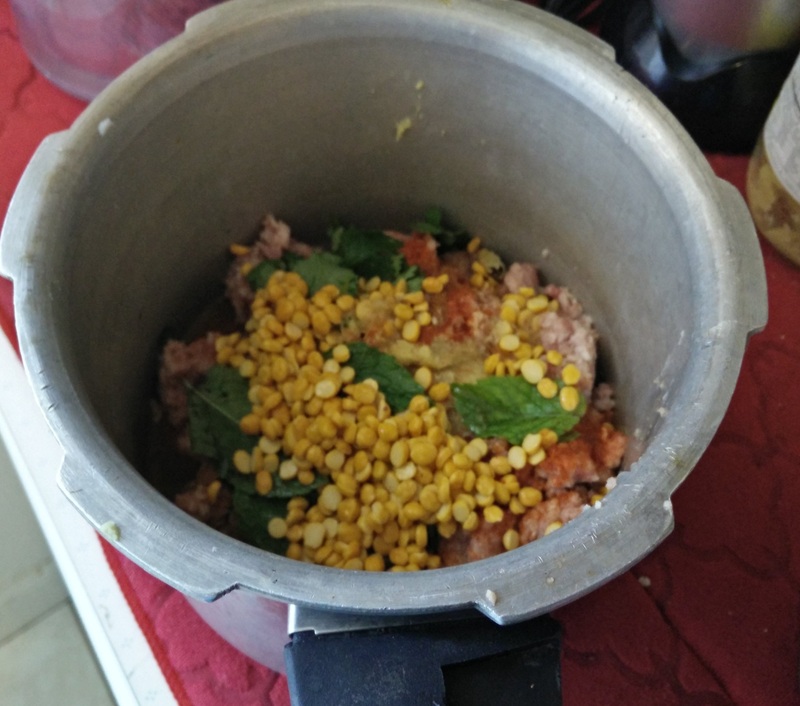 There are many versions of this recipe and I believe it comes out really well if made with boneless mutton pieces rather than minced meat (keema). Here I am using minced meat but feel free to replace with small cubes of goat, lamb, beef or even chicken. 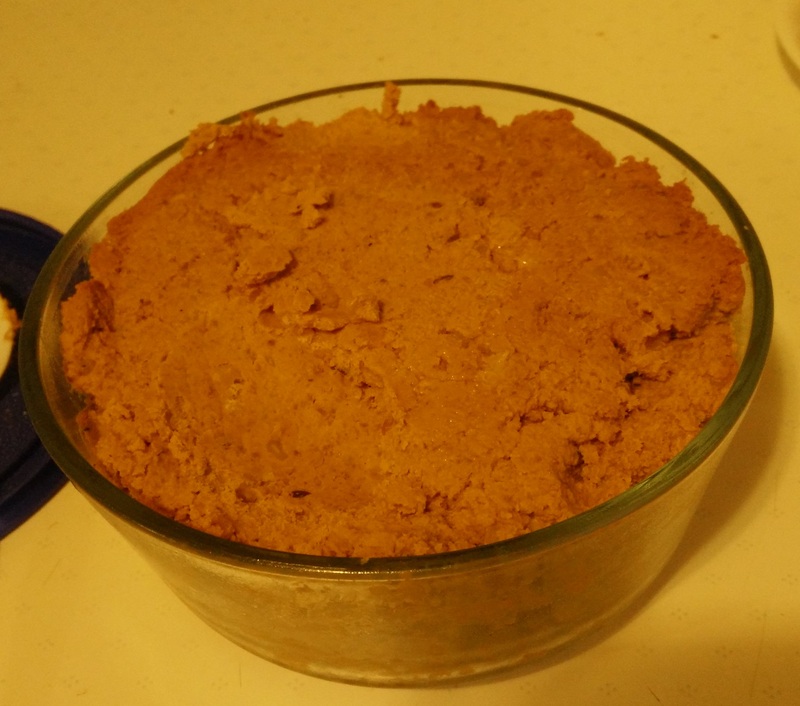 Meat is cooked with some spices and chana dal (split bengal gram) until well done and grinded to make smooth mixture. At this stage, you can freeze the mixture as is or by making small patties. 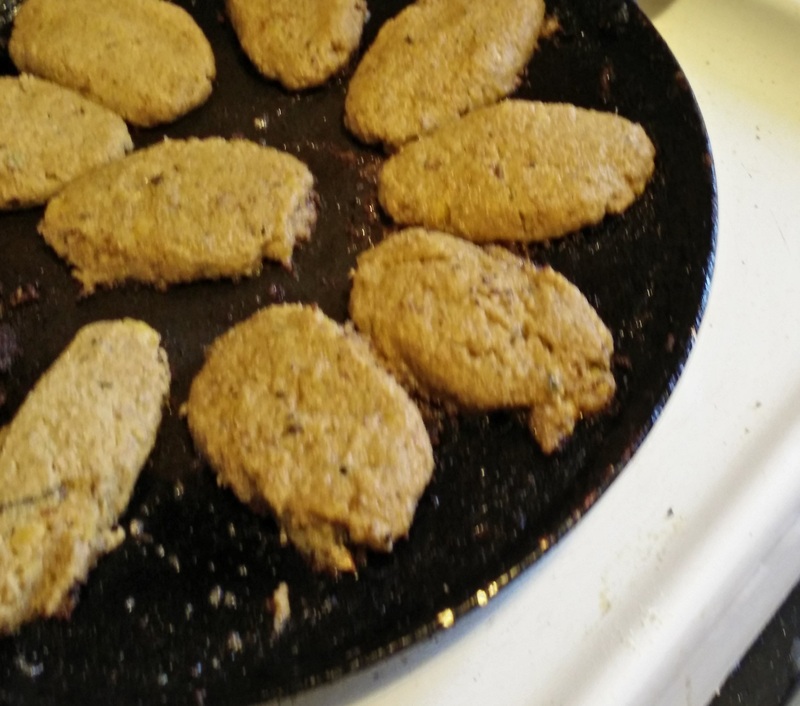 The patties are shallow fried just before serving. They are best served hot with nice crunchy onions and lemon wedges as tea time snack or as appetizer for a party. These patties are so delicate but they should hold itself. If your patties are not holding properly it means there is more moisture or fat in the mixture. Egg added will help as binder but if it fails, follow any one of the tips mentioned here. Wow! That is grand. Looks yummy! What a yummy spread and the kebabs look scrumptious! I am drooling!